One could argue that it is all about the “hidden hand” and there is lots of truth to this but how can one explain that thousands of scientists will just follow the orders of that very “hidden hand” ? Of course, knowledge is too controlled, but how can one explain that the planet has been through much of the same for about 5000 years at least? And that people keep tolerating the same aftermaths over and over? Indeed what is wrong with human beings? Blaming the “hidden hand” 24/7 while still endorsing competition (fight or be left behind) as a human right, is obviously not only obsolete but retarded thinking. But the “hidden hand” is safe as along as populations keep believing that competition is essential to existence. For humans it is not , otherwise Man would n-o-t have been given the dominion over Nature (aka competition). It is a gift to Him to stand out and understand the meaning of His Destiny, witnessing (and co-creating with) the magnificence of The One then go back to Him. This is the ONLY purpose of Life, folks! Here we are staring at the abyss because for centuries masses have been trained to follow money and nonsensical materialism… even the brightest minds today find nothing wrong with it, despite the fact that history has repeated itself for the sake of money and power. Science is no longer siding with humans but working to end of humanity! 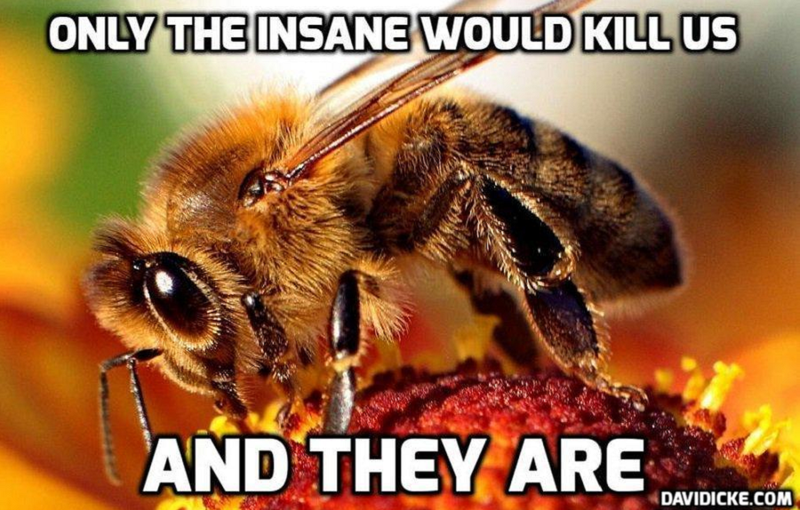 ‘Millions of bees dropped dead after GMO corn was planted few weeks ago in Ontario, Canada. The local bee keeper, Dave Schuit who produces honey in Elmwood lost about 37 million bees which are about 600 hives.